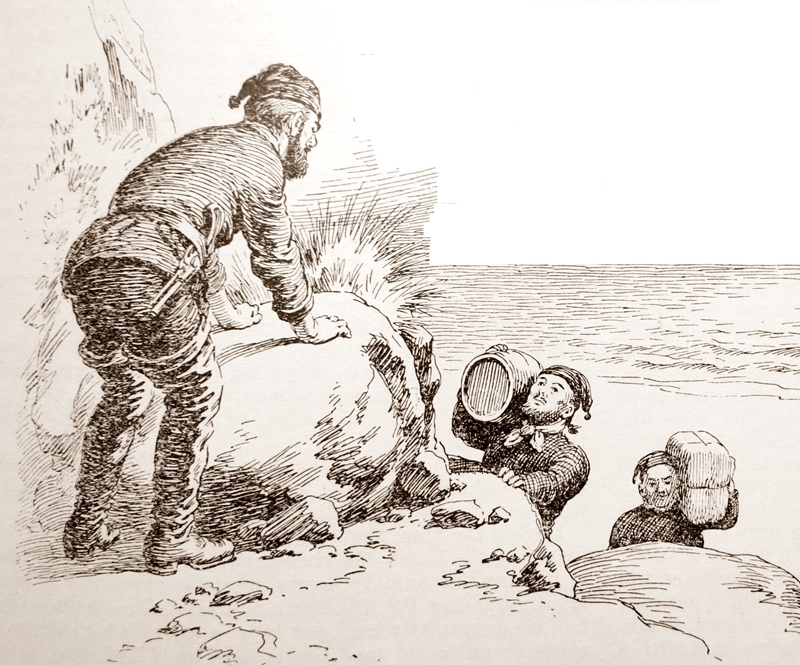 From the stretch of coastline between Maidencombe and the Ness, smuggled goods such as brandy, rum and tea would be landed at any sandy cove with no access for horses. The only way up the steep cliffs was by men carrying goods on their shoulders or backs. Once at the top of the cliff, ponies and carts were waiting. The hooves of the ponies were often covered in leather to muffle any sounds.